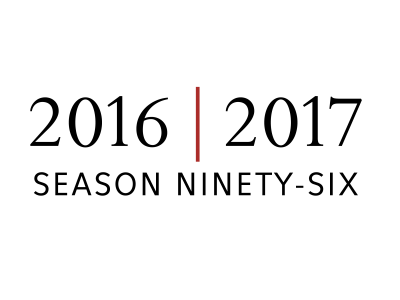 Kalamazoo, MI August 25, 2016 – The Kalamazoo Symphony Orchestra has opened single ticket purchases for all of its 2016-17 season concerts. From the programming to the artistry, each performance, composition, and note promises to be better than the last as the KSO “Makes Waves” in Kalamazoo this season! In this ninety-sixth season, the KSO’s Symphonic Series boasts a superior lineup of virtuosic guest artists, including internationally-renowned pianist Yefim Bronfman, as he returns to Kalamazoo after his memorable Gilmore Keyboard Festival performance and guest violinist Liza Ferschtman in a program featuring Barber & Bartók. Special appearances by harpist, Emmanuel Ceysson, and legendary organist, Cameron Carpenter, will add variety and “make waves” in our traditional symphonic programming. Music Director Raymond Harvey has chosen to perform Mahler’s Sixth Symphony and will close the season with the ever-popular opera, Don Giovanni, which has not been performed by the Kalamazoo Symphony in 36 years. Get tickets now for the Special Event Series concerts which will celebrate the accomplishments of some of music’s greats including Ray Charles protégé, Ellis Hall, in a Ray Charles & Motown tribute, and a special evening dedicated to one of Broadway’s legendary artists – Marvin Hamlisch. The KSO is proud to continue their longstanding holiday tradition, Sounds of the Season, featuring opera star, Angel Blue. In addition to the two main series, the KSO offers concerts designed for young listeners and their families, chamber concerts in several different venues, and, for the second year, offers a multi-media concert event through its exclusive Disney partnership, Disney and Pixar’s Ratatouille in Concert! There is something for every listener in this season’s lineup. The KSO always offers student and veteran discounts for Symphonic, Special Event, The World Of, Classics Uncorked and Classics On Tap concert tickets. $5 Student Rush tickets will also be available for all students (college students will need a valid student ID), at the box office, the night of each KSO Symphonic, Special Event and The World Of Series concert. Family Discovery and KSO@The Movies! concerts have new reduced ticket prices this season - $5/ticket & $10/ticket respectively.